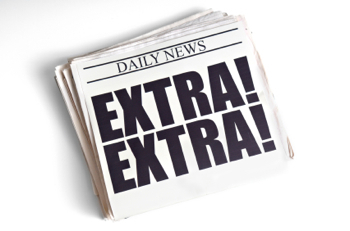 September 12, 2014—Here is what’s new in education news this week. According to new statistics from the Organization for Economic Cooperation and Development, says The New York Times, “American workers with a college degree are paid 74 percent more than those with only a high school degree, on average.” This startling figure exists as further proof that “More Education = More Income” and that college is worth the cost. American Action Forum Solutions has released this handy list of “6 Ways to Make College More Affordable.” The list touches on two-year institutions and borrowing money, among other topics, and even provides a “what to watch out for” concerning each tip. “Don’t Understate What Low-Income Students Pay for College,” argues The Equity Line. Meredith Welch’s piece reminds readers that, though elite colleges can provide more financial aid than other institutions, few low-income students are actually enrolling in these schools. PayScale also published a piece on college accessibility, in this case an argument to support low-income and first-generation students who may need significant financial and informational support. Find out how demographics affect millennials’ college choice in this overview of a Lipman Hearne study by ECampus News. According to a new study, black and first-generation community college students fared better on tests when they were required to play an active role in class. The New York Times reports on the study, which raises doubts about the traditional college lecture. Three public U.S. universities stand out in the battle to help disadvantaged college students, especially first-generation and minority collegians, writes The Chronicle of Higher Education.